If your registration is cancelled before you will be refunded a 82% of your registration fee. Ná je aanmelding op deze website, ga je naar het betaalformulier op de website van Speedcubing Nederland. Pas na betaling is je aanmelding compleet. 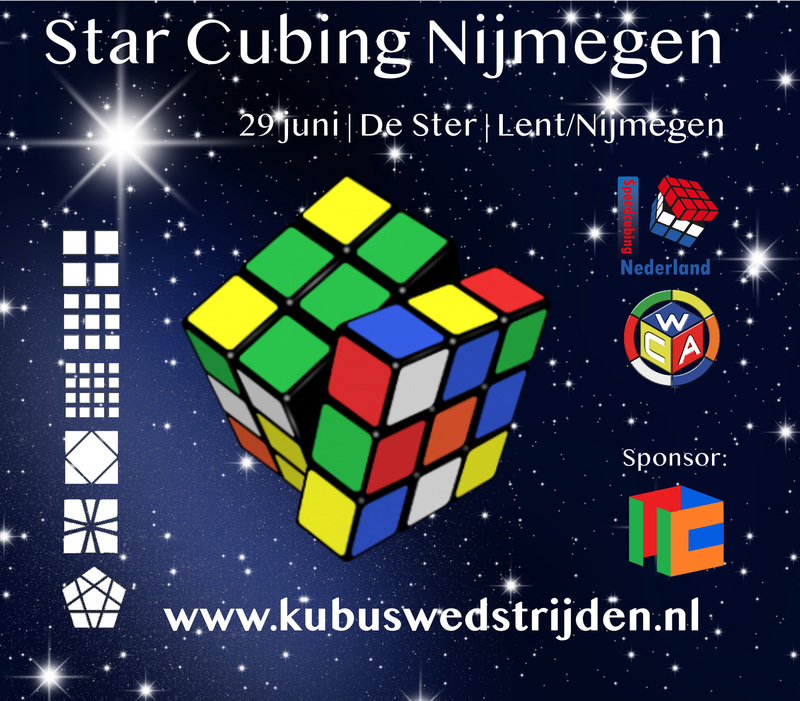 After your registration on this website, please go the payment form on the website of Speedcubing Nederland. After your payment, your registration is complete. You are viewing the schedule for the venue De Ster. The Cubicle stelt giftcards beschikbaar voor de prijswinnaars van alle onderdelen. The Cubicle provides gift cards to the podium for each event.